Even though all cryptocurrency markets remain rather bearish at this time, there are some positive signs to look forward to. In the altcoin department, it would appear as if the Electroneum price is poised to move up again. Its USD losses are kept to a minimum, whereas ETN is noting impressive gains over Bitcoin. A remarkable trend, although the community is abuzz with excitement as well. It is evident most cryptocurrencies rely on Bitcoin’s momentum. For the time being, that will not necessarily yield too many positive results. Although most of the hourly charts are starting to turn green again, overcoming these steep deficits will not be easy. One currency not too bothered by this onslaught is Electroneum. It too lost value, but far less than virtually all other projects in the top 100. More specifically, the Electroneum price currently sits at $0.007575. This is a bit lower compared to the $0.008 reached earlier in the week. Given Bitcoin’s sudden reversal, one has to be glad the market did not crumble further. As of right now, there is just a 1.14% loss in USD value. On the flipside, ETN gained 5.5% over Bitcoin, pushing the value to 198 Satoshi once again. 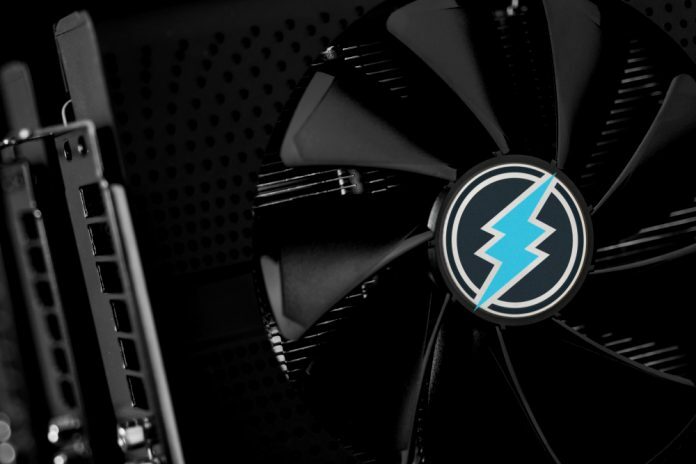 On social media, there is a lot of buzz and hype surrounding Electroneum right now. The upcoming Mobile World Congress event has many people excited, although the actual announcements remain a bit unclear. Some Twitter accounts go a bit overboard when it comes to highlighting this event, but that is somewhat to be expected under these circumstances. We said it was BIG! We said it was #coming ! NOW it about time! #HereWeGo ! We Are #Electroneum and don't stop! We Will PROOF you are #Wrong! Some “insider sources” even claim there will not be just one, but two separate announcements at MWC2019. This will undoubtedly lead to a fair bit of speculation, although it remains to be seen if the actual news warrants all of the excitement. Considering how the mobile cloud mining apps have already been released, it remains to be seen if something else can make such a big impact. When it comes to determining which is the best altcoin to invest in right now, there will be as many different opinions as there are people. Damian Mooruth claims Electroneum is all one needs to succeed, primarily because the altcoin had a very solid week ahead of the recent dip. Even so, some other currencies noted far bigger gains. All things considered, one would expect it to be a mere matter of time until ETN recovers its USD-based losses. Even if Bitcoin were to remain bearish, the ongoing rise in ETN/BTC can negate most of the pressure with ease. The low trading volume has always been a problem in that regard, although it never seems to hinder any uptrend.